It's time to turn the page on 2009 and look into a crystal ball to the year ahead. PC World's own prognosticators have declared 2010 the year of the tablet computer, year of the Droid, year of the Mac, and some even think 2010 might be Blu-ray's time to shine. But enough about PC World. In this umpteenth list of 2010 predictions I turn my attention to others. 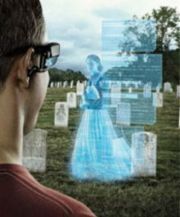 Read on for a sort of best of list of 2010 tech-related predictions for next year from around the Web. is said to be holding a special event, presumably to launch a new product. No one is really sure what tricks Apple has up its sleeve, but with rumors of Apple buying the domain name iSlate.com, specially developed magazine formats for touchscreen devices, and more opinion and rumor than you can shake a stick at, the tech world has pinned its hopes on a device that may or may not exist. Will we see the famed tablet this January? It's less than a month until we know for sure. nd to Google (search and advertising) and to Apple (cell phones), and anemic products like the Zune HD. Of course, these criticisms ignore Ballmer's achievements in the enterprise market, the success of the Xbox, and new products like Bing and Office 2010 online. Keep in mind this is not the first time that rumors of Ballmer's ousting have appeared; besides, is the tech world really ready to give up on Ballmer's alter ego aka "Monkey Boy"? I don't think so. If Ballmer really does get toppled he may have some company if IDG News Service's prediction comes true. IDG is betting that Yahoo CEO Carol Bartz, Ballmer's negotiating partner in the Microsoft-Yahoo deal, will be kicked to the curb as well. their smartphones in front of them. Okay, maybe that last part has already happened, but with augmented reality it could get even worse. Augmented reality is when a data overlay is placed on top of a video or still image giving you added information about whatever you're looking at -- meaning you can walk around with your phone and get directions and information about landmarks in real time. The technology isn't widespread yet, but with tools like Google Goggles allowing you to use images as search queries and a new crop of augmented reality iPhone apps, this technology is set to explode in 2010. Analyst firm IDC, owned by PC World parent company IDG, predicts that 2010 will be the year of the cloud. or cloud platform leadership, new public cloud hot spots, private cloud offerings, cloud appliances, and offerings that bridge public and private clouds," IDC says. Signs of the coming era of cloud computing are starting to take shape with Google Chrome OS and Microsoft Office online, and an increased focus on cloud-based storage and enterprise adoption. management. "Since Chrome OS is new, it's going to be of interest to security researchers, and it's going to be poked by cybercriminals as well," Masiello said. Of course, to be worth a poking by cybercriminals Google Chrome OS will need to be used by enough people to make hacking it worthwhile. Will a Google-branded netbook do the trick? McAfee is also predicting Adobe as a big malware target for 2010. Another one from the folks at IDC: 2010 is all about the apps. The metrics firm believes iPhone apps will triple, Android apps will quintuple, and new devices will increase the desire for more and more apps. 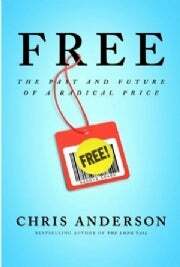 The next year may bring bad news for Chris Anderson as well as the rest of us who have been coasting across the Web's treasure trove of free information: 2010 may be the end of the freebie. That sad prediction is according to Bo Parker, managing director of the Center for Technology and Innovation at market research firm PricewaterhouseCoopers. The analyst says he foresees paywalls erected at news sites and imposition of bandwidth caps from Internet service providers, and other digital toll booths making inroads next year. as users turn to third-party authentication services instead like Facebook Connect, Open ID, and Google Friend Connect. That may be true, but which one will be the gold standard in authentication? My money's on Facebook; how about you? Alice in Wonderland, Toy Story 3, and the new Shrek film, you may want to take the3D experience home with you. The first crop of 3DTVs are slated to hit stores in 2010, and Sony predicts that 3D televisions will make up 30 to 50 percent of its television sales by 2012. 3D may also support Blu-ray's chances against the continued popularity of standard DVDs and the rise of online streaming service like Hulu and Netflix.
. "Murdoch is a savvy businessman who just might lead an industry back into the reality-based community," says Newsweek. After Murdoch's daring stand, Newsweek believes other publications will follow suit. If true, then 2010 could be the year of the Balkanization of the Internet where you have to choose a search engine based on available content instead of quality of the search engine or plain old personal preference. Let's hope it doesn't happen. What are your bold predictions for tech in 2010?